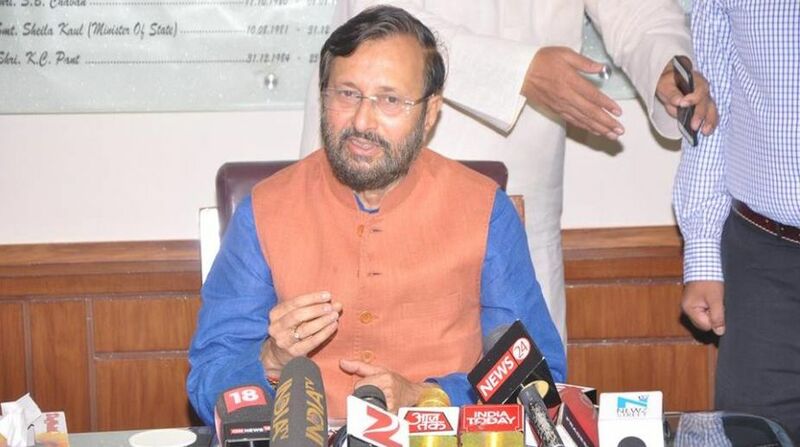 In May 2016, the then Minister of Environment, Forest and Climate Change (MoEF&CC), Prakash Javadekar, announced that his Ministry had approved 2,000 projects in the two years of the Modi government. The Ministry had also brought down the time for environment project clearances to 190 days from the UPA regime’s 600 days. All along, Javadekar kept assuring that the environmental legal framework had been tightened and compliance monitoring had been enhanced. Typically, the Ministry’s work is measured by conflicting yardsticks of speed of clearances on one hand and protection and management of environment on the other. While speed may be important for getting the economy back on track and for reviving investment, it poses doubts about the monitoring processes and the environmental outcomes. Fearing that environment may take a backseat, researchers and activists have called on the Ministry to focus on environmental outcomes and not just on the speed of clearances. Recently, the Vidhi Centre for Legal Policy, an independent thinktank based out of New Delhi, published a report card reviewing over 550 environmental clearances (ECs) granted by the MoEFCC between 2014 and 2016. It assessed the Ministry’s performance under the Environment Impact Assessment Notification, against the parameters of speed of clearances, quality of appraisal and post-clearance monitoring. The report analysed a total of 555 Category A projects which were granted ECs during the study period. Of these, 404 were owned by private entities and 151 were owned by public sector enterprises or where public sector enterprises have some shareholding. The findings show not just a significant increase in speed but also serious deficiencies in quality of appraisal and neglect of monitoring duties by the MoEF&CC. Of the 555 ECs, 223 were granted to industrial projects, 134 to non-coal mining projects and 97 to infrastructure and coastal regulation zone (CRZ) projects. The states with the four highest numbers of ECs, namely Maharashtra (115), Gujarat (95), Rajasthan (37) and Haryana (34) were also the states with the highest number of private projects. As far as speed is concerned, on average, it took 81 days for the Expert Appraisal Committee (EAC) to recommend the grant of the EC, and 85 days thereafter for the MOEF&CC to grant the EC. This sustains Javadekar’s claim that the time taken to grant ECs has reduced to approximately 190 days – actually 166. While river valley projects received the fastest clearances averaging 117 days, new construction projects and industrial estates received the slowest, averaging 231 days. To determine the quality of appraisal, the Report assessed the proportion of instances in which Environmental Baseline Monitoring (EBM) commenced before the release of the Terms of Reference (ToR). EBM forms the basis for the Environmental Impact Assessment (EIA) report and the information collected during EBM helps determine the impact that a project has on the environment. Since this information is crucial, the manner of its collection is highly important. ToR specify the manner in which EBM is ought to be conducted. Therefore, it is absolutely vital that EBM commences only after issuance of ToR. If due to lack of ToR, the party misrepresents facts during EBM to dilute the environmental impact, the authorities would end up not giving clearance to the required concern. Carrying out the EBM before the issuance of ToR would be like answering an exam before receiving the question paper. The Report found that in 245 of 421 proposals that were examined, EBM commenced before ToR were issued by the MoEF&CC. Of these 245 proposals, 230 were analysed to determine whether EBM commenced before the issuance of ToR because of a violation by the project proponent or because of delay by the Expert Appraisal Committee. As many as 144 of these (62 per cent) were found to be because of the delay. To analyse the clearances on the last parameter of post-clearance monitoring, the Report looked at the proportion of instances in which the MoEF&CC imposed monitoring requirements on its regional offices while granting ECs. The report observed that the Ministry had explicitly imposed requirements only on 44 per cent of the ECs, while it is ambiguous whether requirements were imposed in another 27 per cent. A further troubling observation is that there was a decline in the number of monitoring reports being uploaded by the regional offices of the MoEF&CC over 2014, 2015 and 2016. For instance, in the coal-mining sector, there were 74 monitoring reports uploaded in 2014, 31 in 2015 and 29 in 2016. It is manifest from the Report that the MoEF&CC is centrally focused only on the speed of clearances. The Ministry seems to have disregarded the quality of appraisal and post-clearance monitoring standards in the process. While the speed of clearances is a factor crucial for investors and project proponents, the latter two factors are ineluctable in protecting the environment and natural resources. They should ideally form the primary objective of the Ministry. The fact that environmental protection interacts intimately with human health further aggravates the problem. The effect of industrial projects on the environment alters our physical, biological, social and psychological status. It could prove devastating to the country’s public health if the projects are not adequately checked for air and water pollution, release of harmful chemicals and other broader effects through climate change. Perhaps the emphasis of the Ministry on speed of clearances can be attributed to the developmental strategy of the NDA government. In trying to live up to the tone of economic progress set by the Prime Minister, the MoEF&CC seems to have proactively adopted the mandate set by the infrastructure ministries. As the Report suggests, the net result seems to be degeneration in the quality of the Ministry’s processes and consequent sidelining of environmental protection.